Everybody needs one of these! 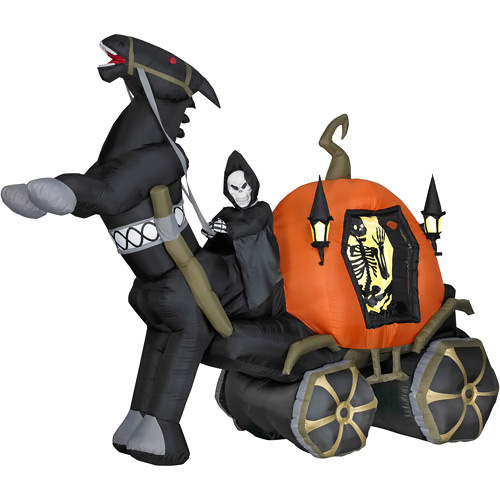 Check out this 6 Foot Halloween Inflatable Reaper Carriage with Horse. This huge airblown thing self inflates, it is low maintenance, has its own storage box and is easy to set up. It's also animated so you can watch the Reaper's head turn from side to side and it lights up, you get everything with this awesome holiday decoration! You can order this for $124.99 at Amazon.